This looks all too familiar. I’ve had a lot of jobs in my life. 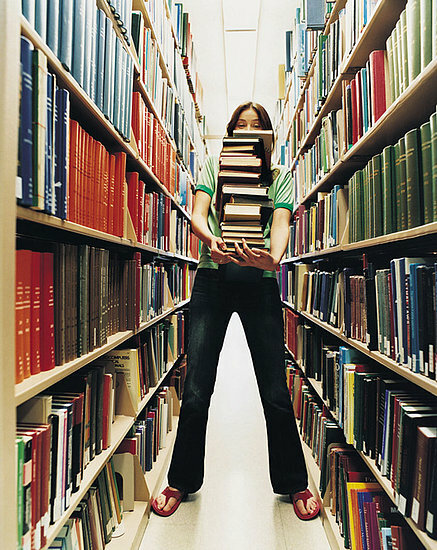 I had a traditional library job in high school. I spent hours shelving and organizing books. Hated every minute of it. The only thing good about it was the hours. I only worked 4-6 a week, so I spent a very small amount of time in there. I should have liked it. I thought I would because I love books. I just don’t like that super-quiet atmosphere with repetitive tasks, and, honestly, the people I worked with were a little odd. I went back to that library a few years ago, about 20 years after I quit, and I understood why I didn’t like working there. It wasn’t one of those fun libraries where kids play and enjoy the books and story time and all. It was one of those libraries where, when your cell phone rings because you accidentally forgot to turn it off, the entire place turns and shushes you. No thanks! 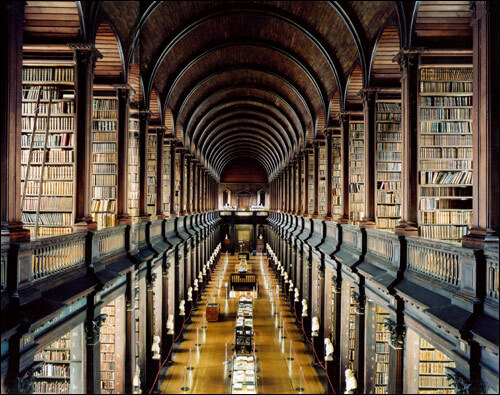 Maybe if my library looked like this one at Trinity College in Dublin, Ireland, I would have enjoyed it more. So I decided one summer during college to do away with the boredom. I got a job in a cemetery. Row after row of graves has got to be more exciting than a library, right? I came home for the summer and spent a couple of weeks looking for a job. Any job. I had no luck until a desperate employer jumped at the chance to get a naive, poverty-stricken college person in its grasp. 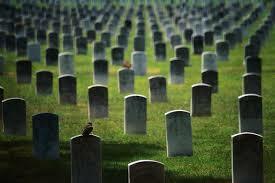 Not really the cemetery where I spent my free time that summer. I’m not including pictures of that one, mostly because I did not care to take any! My job was telemarketing. That in and of itself is weird. When I tell people I was a telemarketer for a cemetery, they look at me like I’m nuts. What was I telemarketing? This particular funeral home/cemetery offered a free burial space to every person. That’s right. Free for the taking. They really did give it to people, too. There was a catch, however, since there’s no such thing as a free lunch…or a free cemetery plot. They sent a representative/salesperson to the house to deliver the deed to the property, and that person tried to sell more. Who doesn’t want a plot next to them for their wife or husband or cat? And if they’re getting a free plot, don’t they want to buy a headstone as well? I worked in the evening. You know, the time when most people are sitting down to eat their dinner or watch their favorite tv shows because that’s the prime time for telemarketers to strike. I had a list of names, addresses, and phone numbers. These came from some mysterious giant telemarketing phone book and were listed not alphabetically, like most phone books, but in numerical order. Because of this, we could see where numbers were skipped. We knew they were left out for a reason: the owners of the numbers had requested that their numbers be unlisted. I see some Cyrillic writing, but I didn’t take this in Ukraine. That’s right! These were the days before Do Not Call Lists. Bet you always wondered how telemarketers got your number when you had an unlisted number, didn’t you? Now you know. We were a tricky lot because we went down those lists and wrote down the ones that were skipped and called those, too! Yep, we were those people. I can still remember the first part of the pitch. “Good evening! This is Laura. I’m calling from [insert cemetery name] to tell you that you have been chosen to receive a free burial space. Do you own your own burial spot?” Intense pause filled with anxiety for me because this is where the gentleman or lady of the house reacted to my ridiculous question. There were a few different answers that seemed to surface often. 1. The person politely said, “No thank you,” with uncertainty and enough of a pause to allow me to jump in and continue with my spiel…which I don’t remember because this happened so few times that I did not bother to memorize it. 2. The person slammed the phone down, possibly cursing at me. 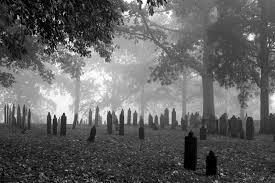 Scary cemetery! No way I’d work in THIS one! 3. The person began a tirade that elicited such comments as, “Oh, I’m sorry, sir! I did not mean to interrupt your dinner. Have a good evening,” and ended with me slamming the phone down, possibly silently cursing him. 4. The person said, “Oh, I’m sorry. Mr. Jones is not here. He died last week. We’re still cleaning out his house and haven’t had the phone disconnected.” This happened too often to be true. I worked with two other women. One was about my age, and that was her real job. For me, it was just a summer job, but for her that was it. She spent every evening there, and that’s how she bought her Maybelline cosmetics and her hair products. She was nice enough, but she was quite a bit bigger than me and tougher than me, and I tried not to make her mad. She got mad at people a lot and told us all about it every night. The other woman was a lot older than me, or at least I thought so. She was probably only like 29, but she had already been married and divorced. She had another job during the day and just worked there because after her divorce she had no money and no social life. 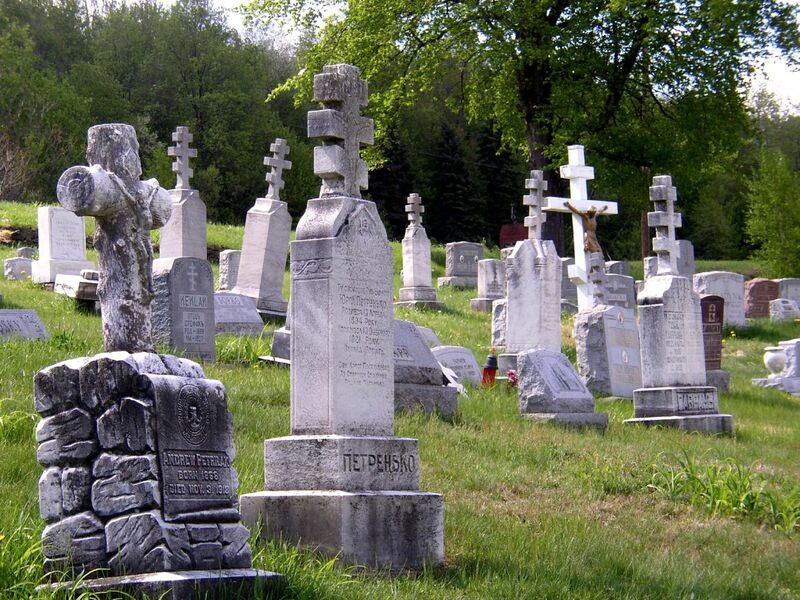 I liked her, but I also felt a little sorry for her because…cemetery! Sometimes weird things happened when I called people. Once I went through the whole thing and the person just stayed on the line. She didn’t hang up and was polite. The longer I talked, the more excited I got. Maybe this person would actually want a salesperson to visit her and deliver the deed. However, I began to feel ill at ease when I asked the person if she would like the representative to visit and silence ensued. Then the voice said tentatively, “Laurie?” I knew that voice! That voice belonged to none other than my own mother! I had called my own mother accidentally because she had just moved and her new number had not yet been listed. She was one of those people with unlisted numbers, and I didn’t recognize it! Imagine lugging a bunch of these around in your car all summer! Fun times! The cemetery wasn’t my only job, though. I had a second job that summer. This was a long time ago, remember? At that time, everyone needed phone books because they didn’t have internet and smart phones to look up numbers for them. In addition to the cemetery job, I had been recruited by a woman I knew from church to deliver phone books out in the country around my house. She assumed that since I had grown up in that area of the countryside I knew the roads, their names, their numbers. The other people working for her had trouble delivering to those addresses, so she loaded my very old, very hard-to-drive car down with heavy phone books and handed me the list of impossible-to-find addresses. I had just learned to drive a stick shift car, and this old car took most of my strength to shift. I spent every morning wandering lost down country lanes frantically looking for unknown addresses. 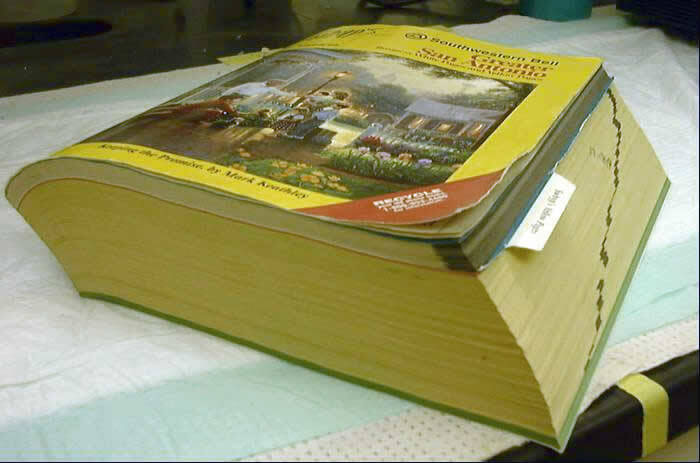 When I finally found a house, I would carry the phone book up to the door and leave it somewhere they’d find it. Most of the time, I never even saw anyone. I sometimes think about that job now. It feels like a dream. I never worked there again or even went there again after I quit at the end of the summer. I went back to college and every summer after that went to Ukraine to work. I never had to hunt another summer job, thank goodness, because I never really liked the cemetery all that much. I’m glad I did it, though. It makes for an interesting story! Anybody else have weird jobs before? I’d love to hear about them in the comments!